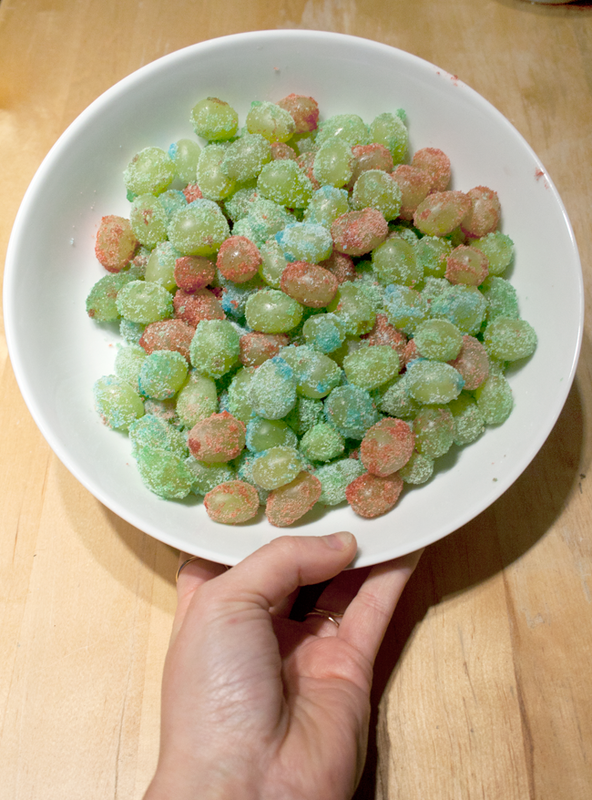 We recently saw a friend post a picture of her sour patch grapes and had to try for ourselves. 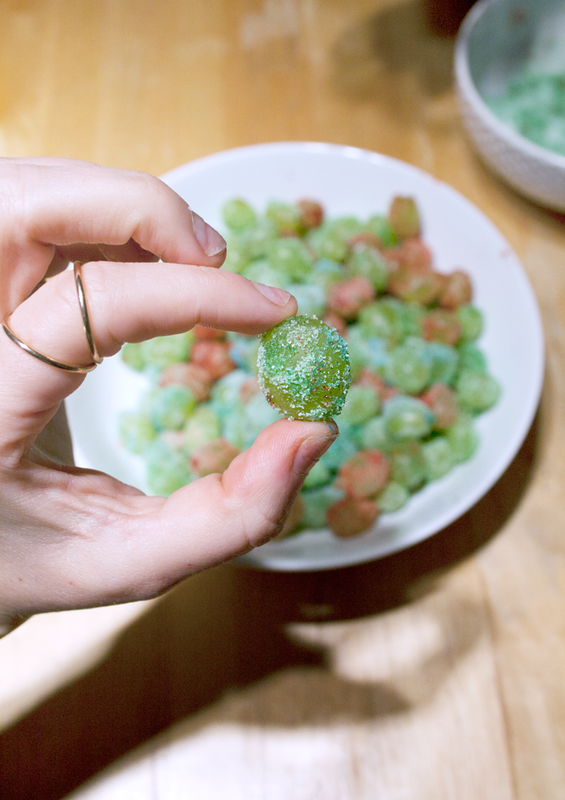 It all seemed to good to be true, until we actually tasted them! 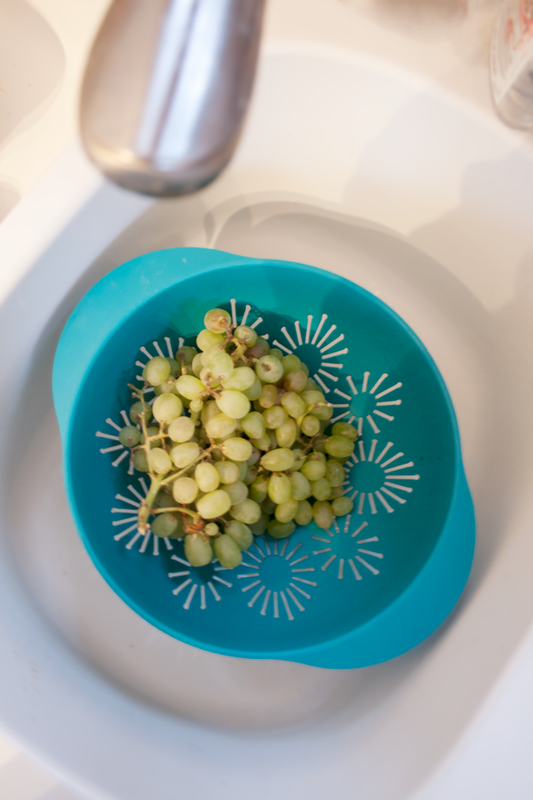 Rinse off the grapes in a strainer. 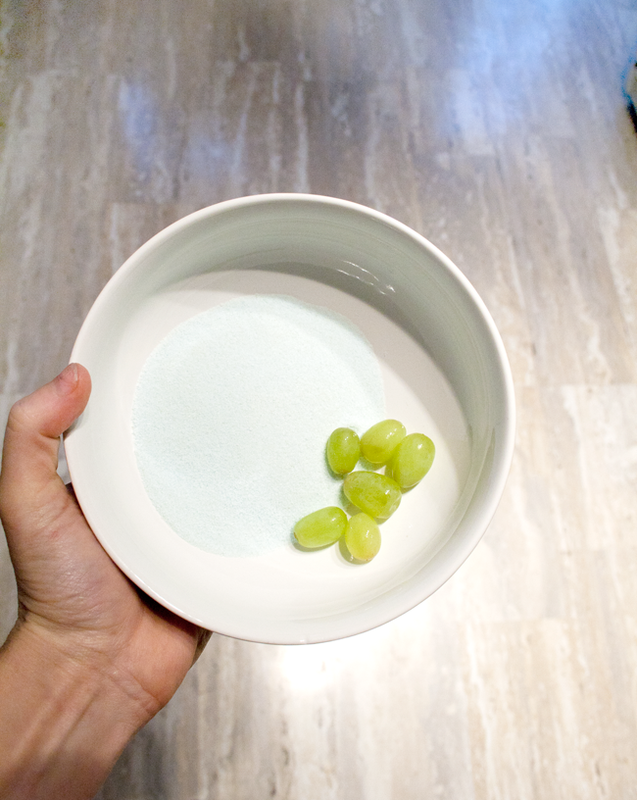 Separate jell-o flavors in bowls or a paper bag. 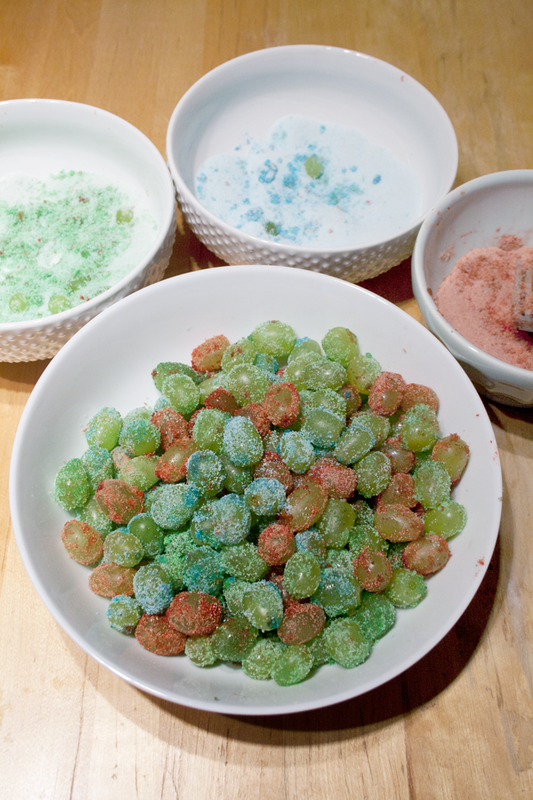 We used lime, blueberry and cherry. 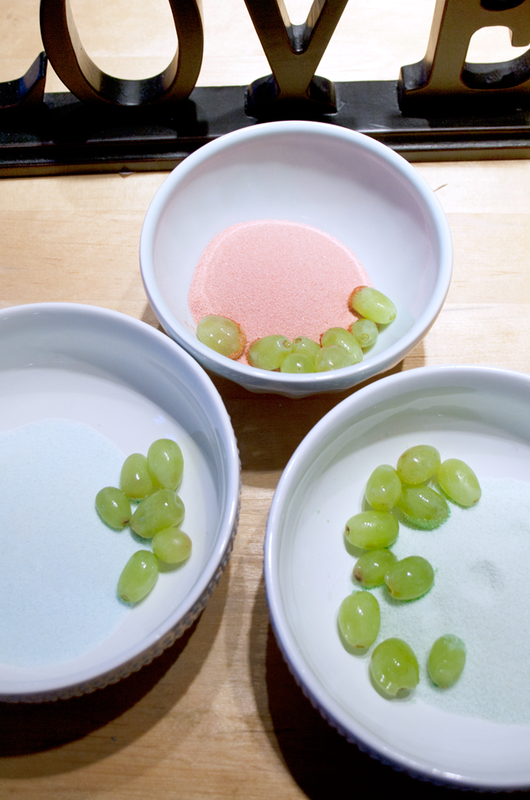 While the grapes are still wet, roll (or shake if you are using the bag version) the grapes in the jell-o. 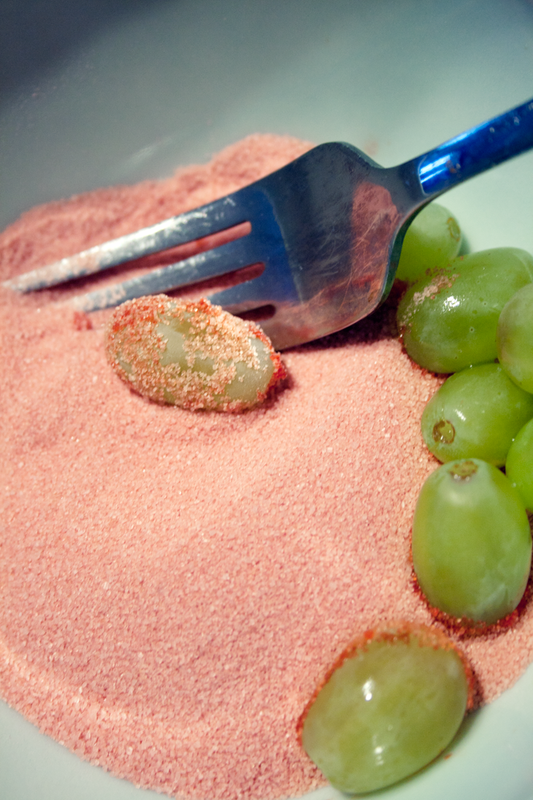 Place in container. 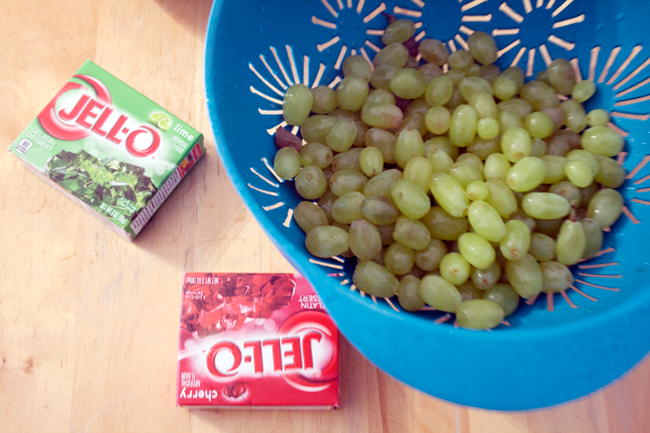 Once all the grapes are covered and contained, place in the fridge until ready to eat! 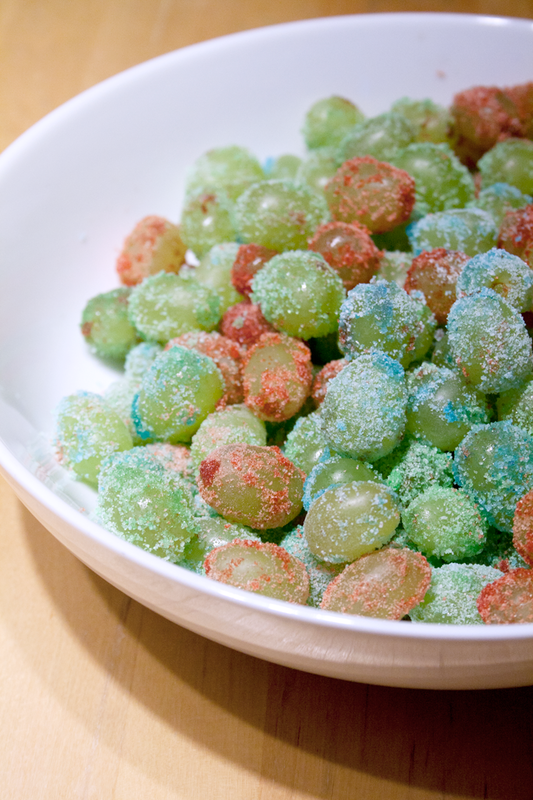 The perfect sour and sweet snack to go!